HOD (Obstetrics & Gynaecological Nursing). Prof. DR. Manjubala Dash, working as a professor in nursing. Speciality is obstetric and Gynaecological nursing. Had 20 years of teaching experience in the field of Nursing. I have organized National and International Conferences, workshops in the field of nursing. Had participated and presented more than 100 papers in the National and international conferences. Had published articles nearly 50 in national and international Journals. 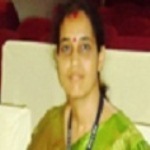 Is the co-editor for International Journal of Nursing Panorama, The Genesis, Comtemporary journal of Microbiology etc. Published 3 books in the fireld of Midwifery and Word management. Contributed chapters for Midwifery Books. I am a National Trainer for Infant and Young Child Feeding Counselling Specialit course. Did many research project under DHR and ICMR, DST etc. Main interest is on research, education and administration. Conducted many programmes for antenatal, postnatal mothers in the community level and hospital level. Got opportunity to deliver a talk in the International and National Conferences. I am guiding the Students of UG, PG and PhD for Research. I am a recognized guide in different university and examiner for PG and PhD Students too. I have gone for conducting Inspections to various colleges by the Indian Nursing Council. My special interest on family planning, contraceptive methods, reproductive health, promote exclusive breast feeding etc.